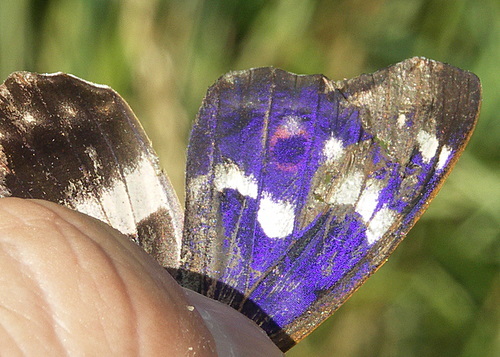 Two forms of this species exist - the blue form ilia and the orange-brown form clytie. 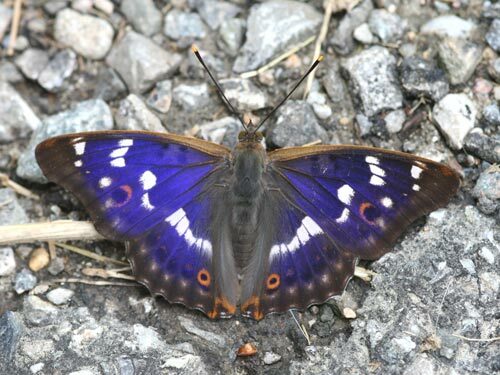 The equilibrum between the occurance of the two forms varies with region, in my experience the latter tending to be more fequent in some southern regions. 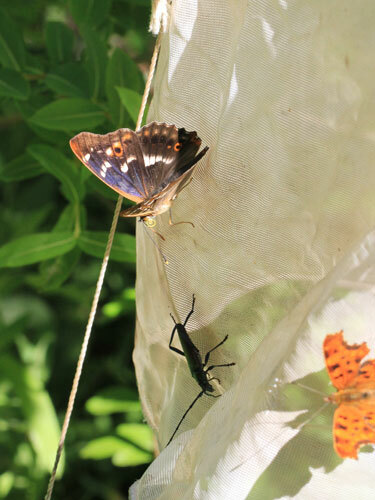 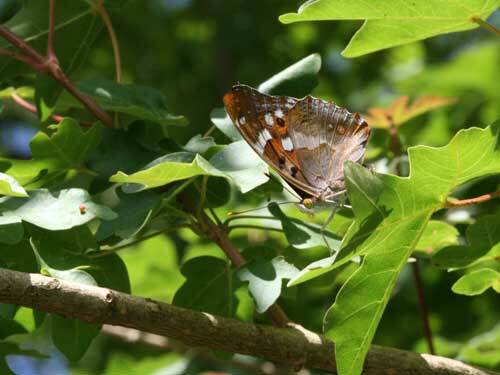 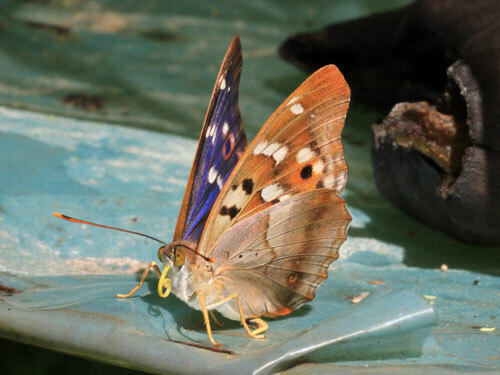 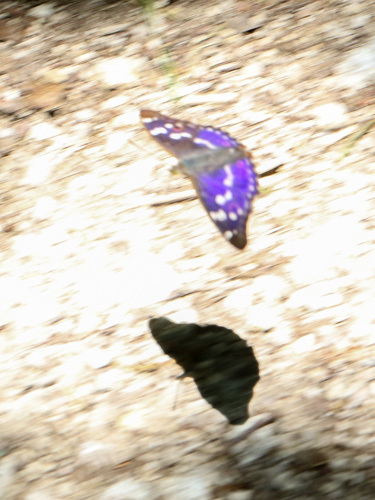 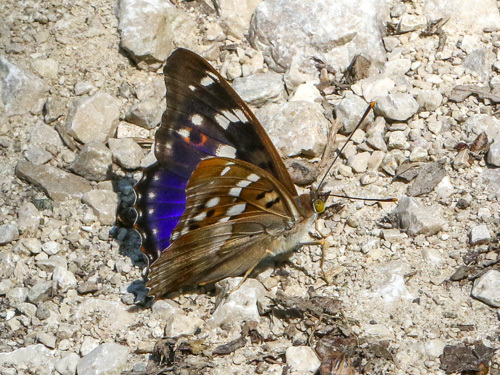 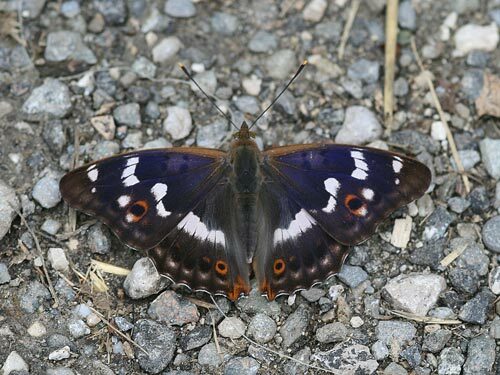 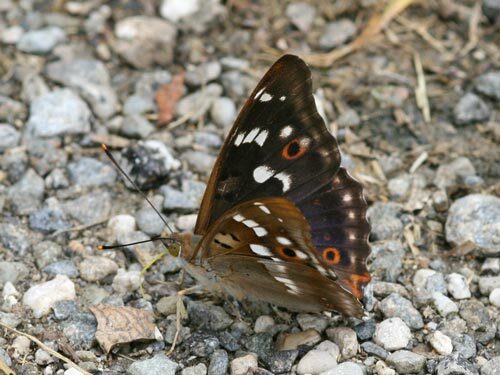 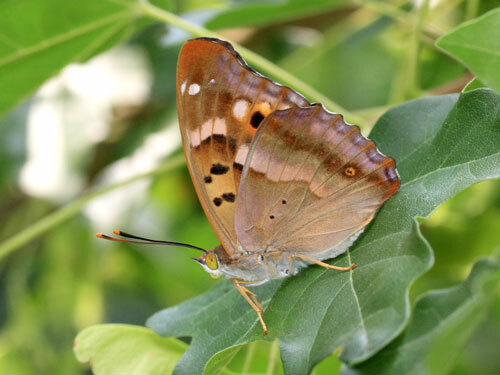 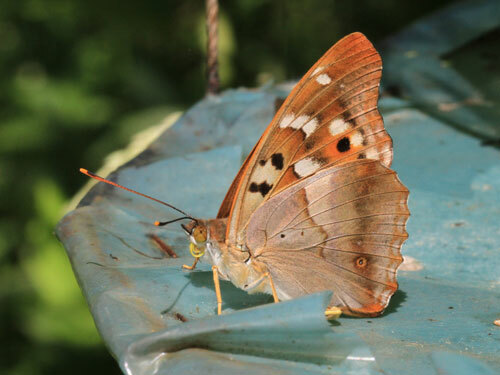 Identification & Similar species: The two other purple emperors, Apatura, species are similar. 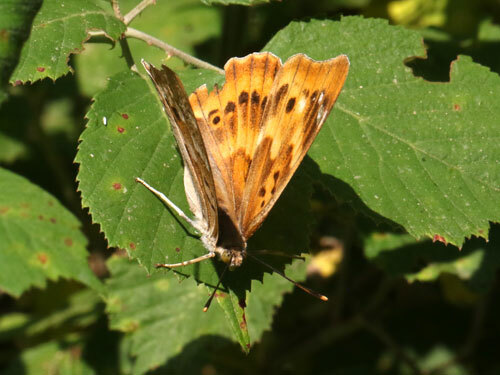 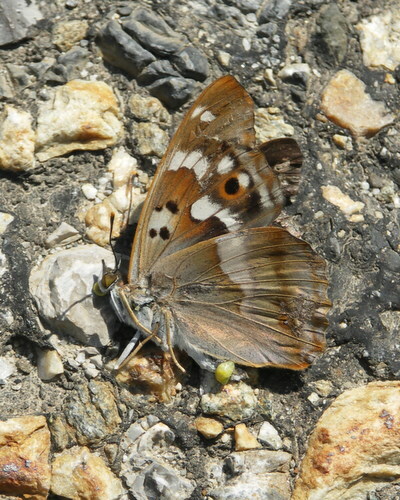 Both forms of the current species have a large black pupil in an orange spot on the upperside forewing. 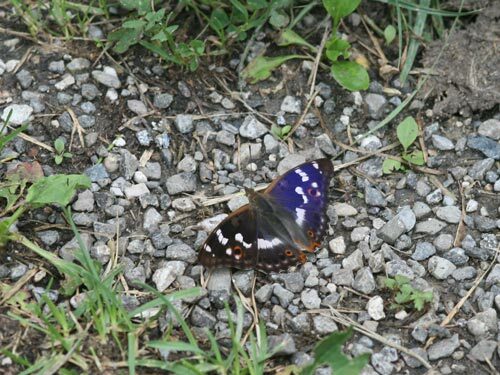 This is small or absent in the other species. 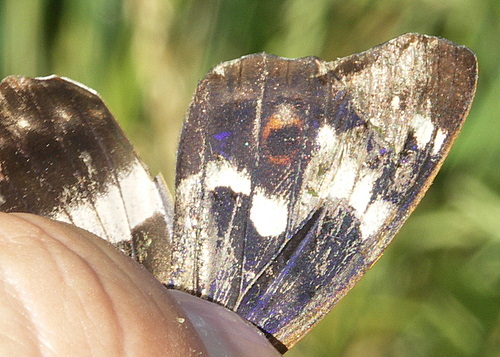 The upperside hindwing discal band is straight on the outer edge, variable on the inner edge. 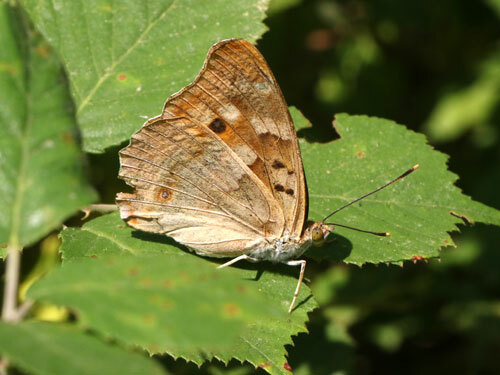 Distribution & Flight: Restricted in north Spain, France and eastwards across central Europe southwards to north Greece. 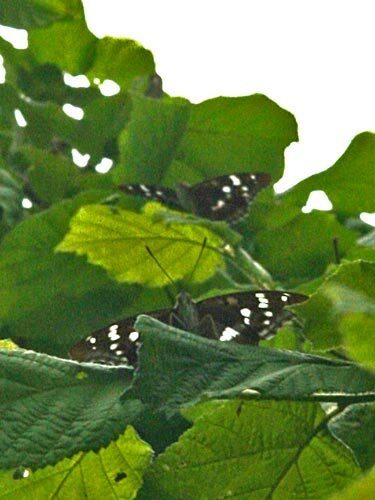 Flight time varies with regions, single brooded in June/ July and double brooded generally in hotter locations in June and August/ September. 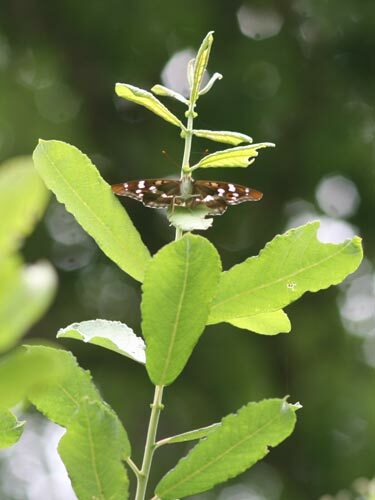 Habitat & Behaviour: Woodland and forests often near rivers or damp areas where the larval food plant slender leaved willow, Salix alba grows. 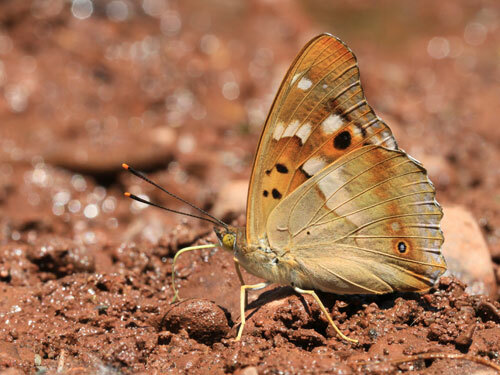 Adults fly high around trees, swooping low to take salts from mud, animal carcases, sweat, faeces etc. 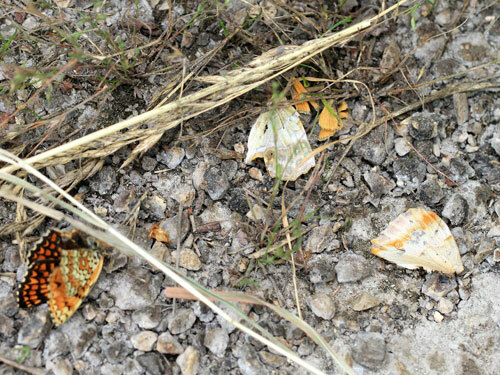 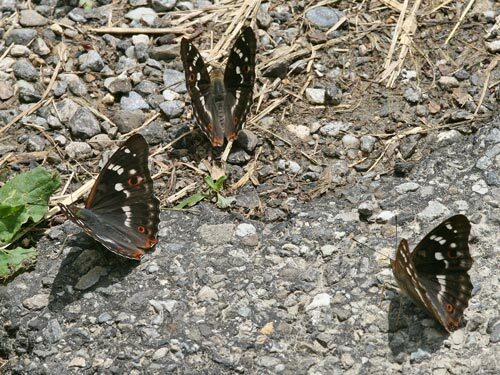 Road kill including Apatura ilia, Argynnis paphia, Melitaea phoebe, Thymelicus sylvestris.